Posted on April 17, 2014, in Horror and tagged Basso, Cochrane, Flanagan, Gillian, Horror, Ryan, Sackhoff, Thriller, Thwaites. Bookmark the permalink. 30 Comments. Nice review, man. I agree with a lot of this, especially about the open-ended finish. Solid horror flick though! Thanks Ryan :). Happy to hear we don’t differ much on this one! 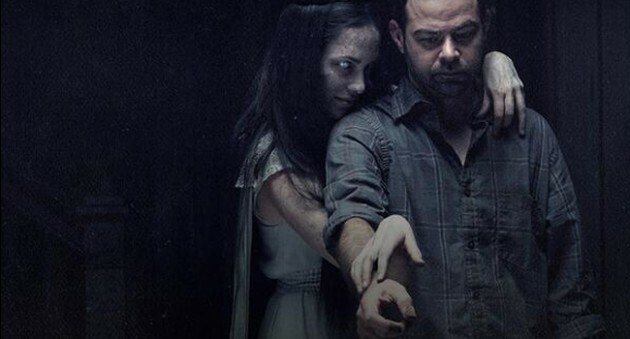 Definitely a worthy horror movie! I had a fun time with this. Even if it didn’t always make the most perfect sense every step of the way, I was still interested in seeing where this story would go and what exactly would happen to these characters. You know, like most horror movies should be like. Good review. Thanks :). Same here, really entertaining flick that does a lot right in a genre that usually gets it wrong. Nice work!! I LOVED this movie. I loved the not-so-easy-to-tell what’s real and what time it is editing jobs. Bravo to these guys. And I LOVED young Kaylie! Thanks Eric! Definitely appreciate the editing job, truly masterful! Also, young Kaylie stole the show :). Excellent work here, my man! As you know by now, I really liked Absentia and I am glad you brought up how they botched the marketing on that one. That being said, I think that Flanagan (who appears to be very talented in this genre) had his work cut out for him with this next project and of course we aren’t re-inventing the wheel like you stated. I am very stoked to catch this one, now. I have been reading some mixed to great write up’s out there. Absentia is amazing! Can’t believe the disgusting marketing campaign on that one, just pathetic. 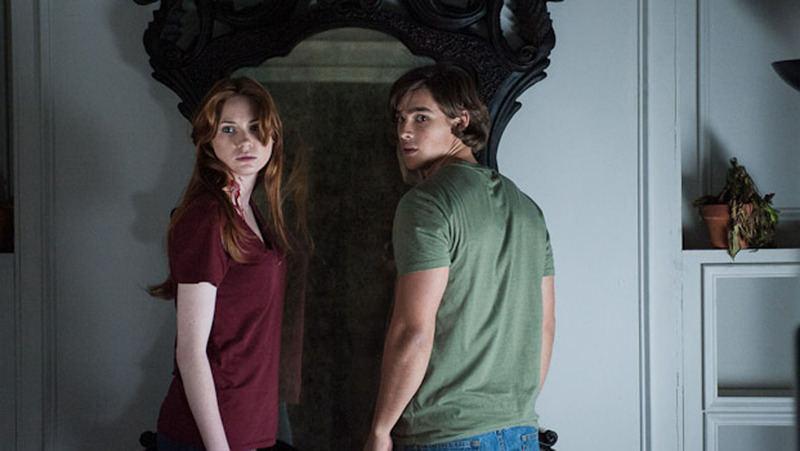 Flanagan definitely is one of the up-and-coming directors to look out for in the horror genre. With Oculus and Absentia, the future looks bright :). Love Ti West, and yes, this film does feel like it borrows some of his technical aspects, but Flanagan makes it his own. This one’s a little bit of a slow burn, but once it gets going, it’s hard to stop! Sounds like a weird movie and you are prob right there will be a bunch of sequels for sure. It’s kind of weird and undoubtedly, there will be sequels, but at least this first one is worth the price of admission :). I like this concept of a mirror that can distort reality, pretty freaky. Good review. Thanks!! Yeah, pretty trippy, even if it isn’t executed perfectly. I’m sure you read my review already but I must say that I thought all the acting was exceptional aside form the Father who I think was underscripted. They could have really pushed his character into the stratosphere but I think they were trying to avoid similarities to The Shining. I did read your review :). I agree with you for the most part, I just felt that some of the acting was a bit contrived, for me anyway. Oh well, to each their own! It’d be no fun if we enjoyed all the same movies :). Very nice review, Joseph. Seems like we feel pretty much the same on this one. Although I didn’t find the ghosts that scary. I guess the eyes were creepy, but…meh. Not bad, but let’s hope horror has room for improvement this year! Thanks Cara! I didn’t so much find the ghosts/creature things scary, more than I found them ideally placed for maximum effectiveness. Definitely an improvement on the horror genre so far this year, but there’s still a ways to go :). Did we actually agree on a film?! Oh c’mon…we don’t disagree on THAT much. I hadn’t heard of this one. Always good to see a strong horror movie. Top work buddy. Thanks friend-o! Definitely worth a gander when you get the chance :). Hey Mikey! No clue why you’d be missing them, hopefully it’ll work out! 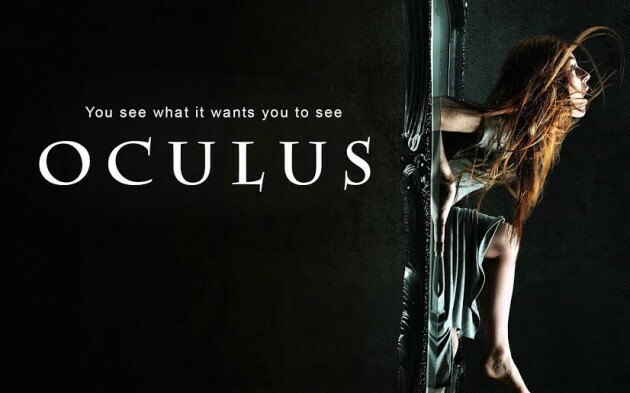 Oculus is a pretty decent horror flick that, for the most part, strays away from gore and violence. That’s awesome! Too bad you didn’t meet her, but it’s still a good story :). I have some interest in seeing this for Karen Gillan but I’m not going to be rushing out to grab it when it comes out on DVD. I still haven’t seen ‘In Fear’ – I’m getting the feeling that I am missing something! I’m not quite sure if I’d pick this up on home video. Gillian is pretty darn good and the movie is entertaining, so I think it’s worth the watch :). Hmmm OK… I might just go and catch it then! Thanks! Yeah, we sound like we’re roughly on the same page here. It’s not canon material, but it is an entertaining piece that’ll keep the genre flowing.